March is Women’s History Month! Take the time to learn about, remember, and appreciate women by reading about them! Albert Whitman has a huge selection of historical picture books showcasing women’s accomplishments. You’ll find everything from female athletes, scientists, and detectives to famous women that made a difference in our shared history. Check out this list for some of our favorite girl-power picks! This beautifully illustrated book follows Eugenie Clark’s lifelong obsession with sharks. Her discoveries changed the way scientists thought about sharks, but her choice to pursue a career as a scientist changed the way society thought about women. This picture book shares the story of her entire life, but focuses mainly on her years of research from the 1940s to her death in 2015. Told in a narrative style, this true story will make all readers want to dive in for more. This story follows Harriet Tubman through her life as a slave working in an orchard up to her escape to the North. It’s a great start for teaching little ones about America’s past and the struggles of those who haven’t always been free. Dorothea Lange traveled the country during the Great Depression to take photographs of those affected most. Her struggle with her own physical disability and her development as a photographer are told in this captivating picture book. Available now in hardcover, this story is great example of how women have made differences throughout history. Share the story of Alice Coachman, the first African American woman to win an Olympic gold medal in the 1948 games. Bright illustrations and lyrical captions will engage and inspire readers with the story of a woman who jumped over every obstacle to accomplish her dream. Photos of the real Alice Coachman are also included in this picture book. Most Americans know a lot about President Lincoln, but not so much about the detective who saved his life before his inauguration. Explore the adventures of Kate Warne, the nation’s first female detective, as she breaks down barriers for women and saves her president in this colorful picture book. It may seem hard to believe, but woman have had the right to vote for less than a hundred years! Learn about Susan B. Anthony’s fight to give women the right to vote in Heart on Fire. Her daring (and illegal) vote for president in 1872 helped spark the movement for women’s suffrage across the country. This non-fiction picture book will remind all readers about the importance of the right to vote. Not only was Mary Walker a suffragist and one of the first female doctors in America, she also wore pants, something unheard of in her time! This picture book discusses the story of a Civil War hero who challenged traditional gender roles. 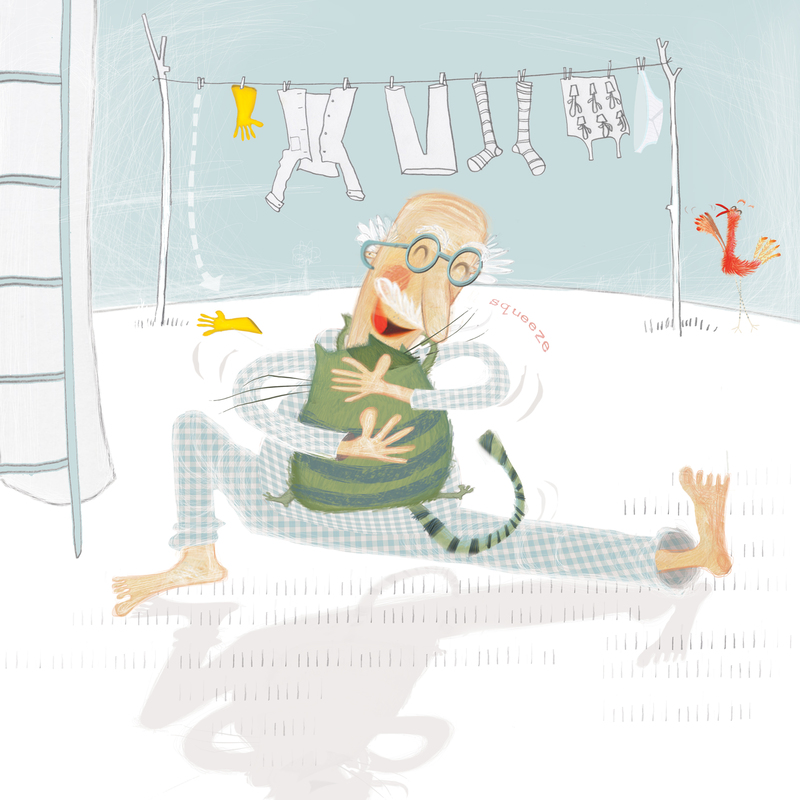 Share this illustrated biography and inspire young readers to question societal norms. What are your favorite stories about women in history? Visit our website to find more books about women! Cornelius was not expecting a cat to be left on his doorstep in Drat That Fat Cat! by author-illustrator Julia Patton. We were lucky enough to sit down with Julia Patton to chat about Drat That Fat Cat!, her career trajectory, and the cat—and human—who inspired the story. Q: How did you become a children’s book author and illustrator? A: When I was very little my earliest memories were playing ‘Post Office’ underneath my Grandma’s kitchen table. I’d spend hours cutting and sticking making envelopes and stamps to post to my long suffering sister. I always knew my heart lay in being a creative so I followed this pathway through my undergraduate in Textile Design which was very fine art-based. I then spent many years creating greeting cards & wrap for international stores. My interest in children’s picture books was reignited when I began sourcing books for my own small boys. I fell in love with picture books and I knew it was time to go back to big school myself. I swiftly enrolled on the MA Illustration program at Edinburgh University and had my first picture book Unstoppable Max was published a year later. Q: In Drat That Fat Cat! which came first: the text or the art? A: Both are intrinsically linked, interwoven at every stage. When writing books I initially create the protagonist in my sketch book, secondly the other characters, and then I create a title, which just has to be a showstopper! Then the story arc grows from there. The funnier the better. I find humour and picture books perfect partners. I wrote Drat That Fat Cat! over five years ago and showed it to my editor and art director at The International Children’s Book Fair in Bologna last year. The silly end papers had us all howling with laughter. We worked together collaboratively to strengthen the story and its publication date is this October. Q: Do you have a cat? What would you do if one was left on your doorstep? A: I’ve had one very fat, stray cat arrive at my doorstep a few years ago, covered in fleas, wriggling with worms and creating the most horrid smells. We loved her. The idea of the highly contrasting Cornelius Van Ploof’s character in Drat That Fat Cat! comes from my beloved father. He loves order, with everything being very neat and tidy. I knew putting him and a flea-bitten, smelly cat together would drive him utterly bonkers! He’s yet to see the book. I may be in trouble! Q: What is your favorite medium to work with? A: With an undergraduate in textiles I’m instinctively drawn to creating beautiful aesthetics and tactile surfaces and with my new found love of illustration the two are now inseparable. I love collage and incorporate it into picture books whenever I can. I believe the multi-media approach to my illustrations make them easily identifiable from other’s work. Q: What was the process of working with your editor and art director like? A: Albert Whitman and I are on our third book together and Jordan Kost has been my art director on all of the projects. She is an incredibly talented creative to work with, professional, hard-working and we’ve developed a very close and hilarious friendship which moulds our books. She is the magical glue. I’d be lost without her encouragement, support and humour. A: The routine is work, work, work. Seven days a week, lots of late nights, until it’s finally done. The best books happen when you listen carefully taking everyone’s advice from art directors, editors and publishers. Then take a breath and begin the next project. A: I write continuously and have approximately 6-10 books in various states of completion that I visit and rework at different times. I have been very fortunate to have been commissioned three of my new titles recently that I’m going to be working on over the next year. It’s going to be a very busy but exciting time. 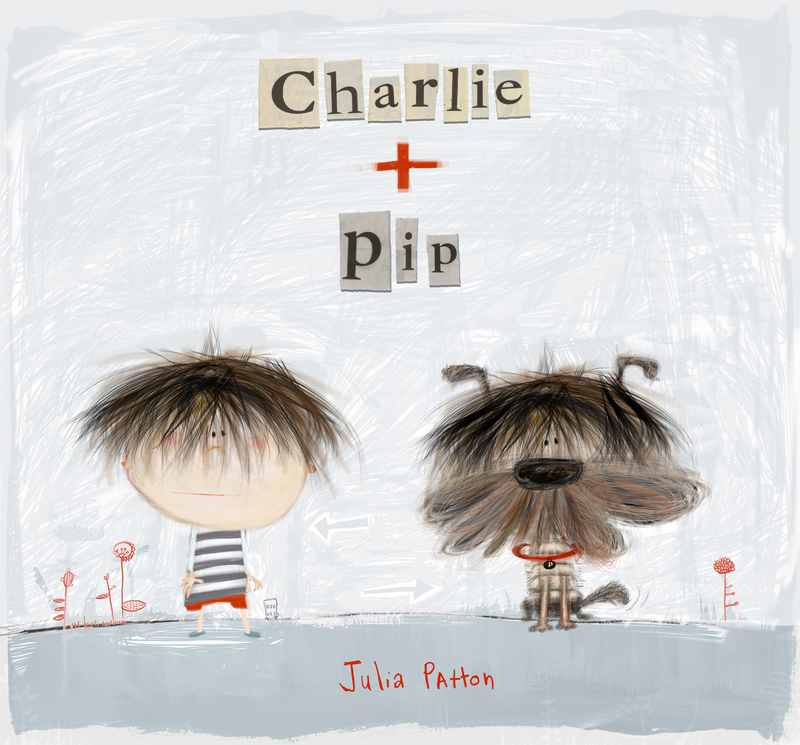 I have also recently written a story called Charlie & Pip inspired by a non-verbal child we know as family friend. It’s a story about a child not engaging in the outside world or communicating with anyone, until she meets Pip. He becomes her voice, her emotional buffer, showing her how to interact with others. This is a book for anyone struggling to find their voice, whether it’s a language barrier, anxiety or self-confidence problems. I think it’s a special book with a story that needs to be told. I’m very proud of it. I believe my responsibility and role as an author and illustrator is to illuminate words, suggest the magical and interpret the unspoken. Q: What books did you like to read as a kid? What type of books do you like to read now? A: I was obsessed with any book by Richard Scarry because of all the funny details I could find, this was later replaced by Heath Robinson with his hypnotic contraptions and fabulous inventions. I adored, and still do, Dr. Seuss’s wonderful books. Did I Ever Tell You How Lucky You Are? is a favourite of mine. Now I read every picture book I can get my hands on. I’m initially attracted to the artwork but love deconstructing the narrative. Some of my favourite illustrators include Quentin Blake, Barroux, Dan Santat, and Oliver Jeffers. A: I love my job. Thanks, Julia! 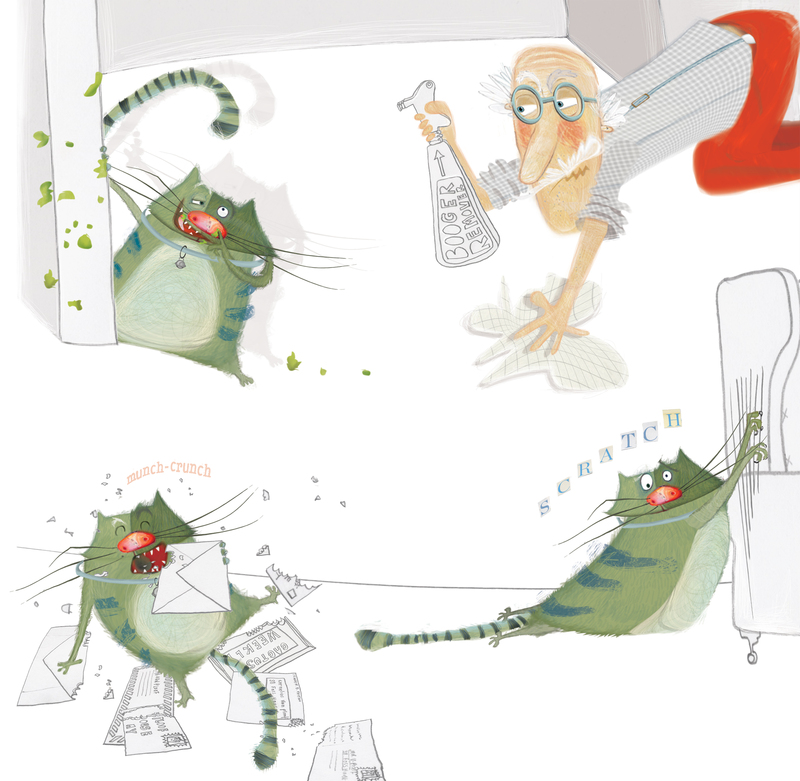 Fall in love with Cornelius and his fat cat, and check out the book on our website. Find out more about Julia on her website, and don’t forget to follow her on Twitter. With sunny skies and warm breezes filling the day, kids, ducks, and dump trucks alike are now out to play. With a “Beep, beep” there and a “crash, crash” there, construction noise fills the air like pollen. Children welcome this noise as if it is an orchestral composition, and adults everywhere are left curious as to what is so special about construction sites. Adults are still puzzled as to why children find big trucks so fascinating. Perhaps it’s the mess, the noise, or the size, but kids everywhere are drawn to dump trucks. Maybe it is because little hands can only move little handfuls of sand, or dirt. Yet trucks can move loads because trucks are tough. There’s just something about a construction site that pulls at the heartstrings of children. One thing is certain though that this construction magic is captured in the bright book, Dump Truck Duck. Not only does this adorable book convey the coolness of the construction site, but it also speaks volumes about teamwork. Dump Truck Duck’s use of furry ducklings and construction vehicles as a way to express a tale of consideration and helping others is nothing short of special. This book demonstrates the power of working together to get the task at hand completed, and the book also acknowledges that mistakes happen. It is a gentle reminder for children to act with kindness and showcase a positive attitude. After a long day of sandbox play, there is nothing quite as special as reading about the strength of a truck. Dump Truck Duck, comparable to Goodnight, Goodnight Construction Site, is a heartwarming tale. It is certainly fit as a bedtime story to cap off a day spent playing in the playground, or an at-home remedy when rain clouds move in. 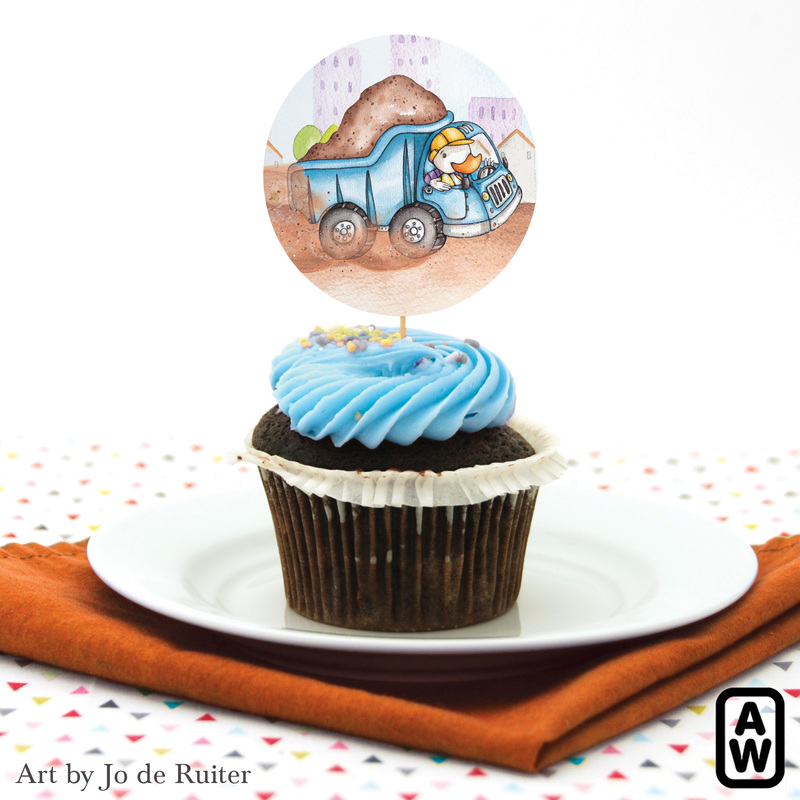 Dump Truck Duck is really the perfect companion to any kind of day, filled with any kind of play, and a reminder of how much can be accomplished when everyone works together. Writing about nature is fun, especially when it comes to research. Long before sitting at the computer to compile my notes to write, I’ve met dozens of wonderful scientists such as apiarists, biologists, botanists, and geologists, who love nature as much as I do. Thanks to these experts, I’ve climbed many trees, surveyed the seas, and met a million or so buzzing bees, too. I’ve found that it’s good to go little wild in the natural world, which helps me write a stronger story from what I’ve learned in my extensive research. Authors research and learn from other authors, too. We compare notes, writing tips, plotting techniques, and even share educator guide advice and bookmark designs, which we hope will help sell our books. I’ve been fortunate as an author to meet friends who also have books published by Albert Whitman. My publishing mates Nancy Viau and Jacqueline Jules also research the topics they write about and they both share my passion for meeting young readers. Nancy Viau reading her book to a student. We’ve appeared at educator conferences, book festivals, libraries, bookstores, and shared our unique author journeys at our favorite outings—schools visits. As in any job, sometimes there are down days for authors, such as an educator event with low attendance or the huge outdoor festival that had to be quickly moved indoors because of whipping winds and rain due to an approaching hurricane. These down days are few, and my author friends agree that it only takes one young reader, one smiling face to change a less-than-perfect event into a great author day. Alison at a school visit. In the wild, sometimes authors climb trees and sometimes we meet a storm trooper who is interested in bees. Sometimes we get a group hug. Most authors I know agree—if people are reading our books, we’re smiling. Who changed your perspective on reading? My husband Jeff, a fourth grade teacher, and I love books. When we go on vacation, we enjoy visiting the local library and browsing their used bookstore. We always find a special treat to take home with us. At our thrift stores, we head to the book section to see what choice tidbits are on sale. We hang out at local bookstores. For Christmas and birthdays and “just-because” days, our wishlist often includes books. One of our family’s all-time favorite “eggs” in our nest is our permanent collection of Mother Goose and nursery rhymes as well as “visitors” of treasures that come and go from our local library. When our boys were young, Mother Goose: The Original Volland Edition was nearly a daily read. The old-fashioned art and delicate colors set the tone for falling in love with the heritage Mother Goose has to offer our family as we passed down each nursery rhyme to the next generation. And Tasha Tudor! Oh, what is any mother’s reading lap without the delightful and rich books of Tasha Tudor! Complete with sweet goslings and adorable kittens, Tasha Tudor’s Mother Goose brings fresh joy with every turn of the page. Our collection of Mother Goose “eggs” in our nest still continues to grow as we add new favorites today. It’s little wonder then, that over the years I’ve dreamed of writing my own Mother Goose rhymes to add to the rich traction of childhood pleasures and treasures. Raising two boys, pirates were a perennial favorite, so it was only natural for me to combine the rollicking good fun of piratey adventures with the beloved rhymes our family has always enjoyed. My hope is that this new generation of mommies, daddies, and little ones will learn to love Mother Goose and nursery rhymes in a fresh new way! What are your family’s most cherished books? As a kid, I was obsessed with Halloween. I mean, free candy! Candy was rare in our house. On October 31 every year, I’d amass as much of it as possible, come back to the house for the sister swap (I had three sisters, we each had different preferences, and usually at least one of us had braces that made some candies taboo), and then put my final collection in a shoe box. Showing willpower that I only wish I still had today, I strictly rationed my stash so that it lasted as long as possible. My record was the year I stretched it until Valentine’s Day. It’s actually amazing that it’s taken me so long in my writing life to get to Halloween—but I’m happy with the result. The title of my picture book, Trick Arrr Treat, came first, and then I just went with it. Pirates were a big deal to my son when he was little. When we went to the beach, we’d bring along his pirate hat and a pirate flag, and we’d bury some kind of treasure for him to dig up. My two favorite Halloween picture books are That Terrible Halloween Night by the talented and hilarious James Stevenson, and A Halloween Mask for Monster by Virginia Mueller, ill. by Lynn Munsinger. My books almost always end up with a dog or two in them—this time, the dog plot was one of several ideas my editor came up with, and it seemed like a natural fit. I especially had fun coming up with the characters’ names; I think everyone should have a pirate name! What’s yours? The early morning air wafting through the open windows was softly crisp on the eve of the autumnal equinox. The front lawn, an aging green, was littered with large curled sepia sycamore leaves. The house sat blissfully quiet, everyone else having left for school and work, except for “Autumn Music” playing on Pandora. For me, the first day of fall heralds the decorating cycle—Halloween, Thanksgiving, Advent, Christmas, Winter (snowmen! ), Valentine’s Day, Lent, St. Patrick’s Day (family birthdays/wedding anniversary), and Easter—that will culminate with growing season next spring. I’ll display my father’s collection of roosters in the bay window as it overlooks a young green yard carpeted with purple violets and welcomes a symphony of birdsong into the house. As a child I learned about the changing year—bolstering what I learned in school—through the lens of what was happening in our yard. This became linked with the cultural holidays and religious feasts taking place in each season. For example, I remember crunching through crystalline snow in rubber boots to see if the fragile gold and amethyst crocus were blooming in the icy cold beneath the birdbath near the brook that divided our front lawn. No matter how miraculous this seemed, I learned it was a sign that spring and Easter were coming. My parents and sisters populate these memories. My dad loved decorating the house for holidays and tended the yard with my grandfathers. In the kitchen, my mom turned garden peppers and eggplant into glorious feasts. Everyone wanted to eat at our house! Though my children find this bizarre, some of my happiest family memories involve raking leaves and shoveling snow together, talking and laughing while washing dinner dishes, and picking and canning endless pounds of plum tomatoes in late summer to jar for gravy (tomato sauce) for Sunday macaroni in the coming months. 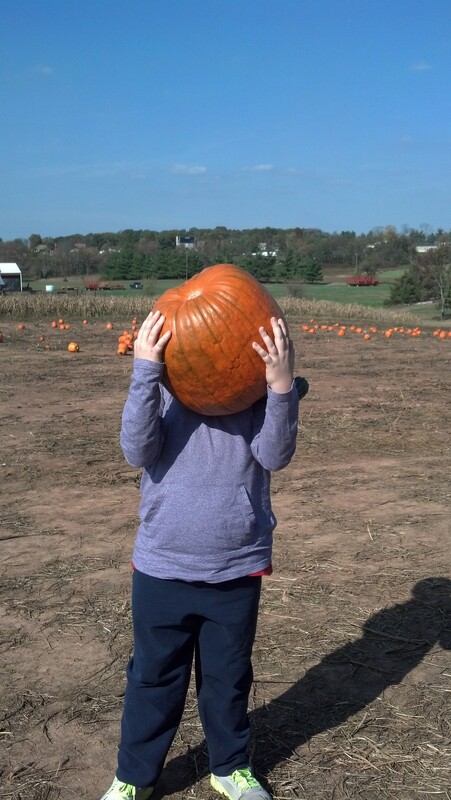 In my developing mind, this exciting and inspiring cycle of seasons and holidays and feasts seemed to begin, not on January 1, but with the return to school and apple picking in September. It’s no wonder my first picture books are seasonal! Today, while decorating the house for holidays, I display a variety of seasonal picture books. The most weathered copies are mine from childhood, some belong to my children, others I’ve collected since commencing my journey as a picture book author. I love them all, but the fall and Halloween picture books are especially dear. A favorite among favorites is Pumpkin Pumpkin, by Jeanne Titherington. The simple text and amazing textured illustrations distill the story of the seasonal year down to six amazing pumpkin seeds. It’s poetry. It also represents everything I aspire to in my own writing—capturing the essence of an unfolding story in vivid and efficient text, and delighting in the privilege of watching as illustrators such as Susan Swan and Julia Patton elaborate in color, texture, and image. What are your favorite seasonal books for kids?